ARDS Services, Inc is conveniently located just east of downtown Naperville and just west of downtown Lisle. A Microsoft Certified Professional (MCP), Microsoft Registered Refurbisher and Microsoft Certified Small Business Specialists (MCSBS) firm, it is well suited to handle all Small Business Server, Computer, Networking, Software and Consulting needs. ARDS Services is deeply rooted in the Lisle/Naperville community. We currently support computer systems at the Lisle Chamber of Commerce, and previously at the Naperville Area Humane Society and Loaves and Fishes Food Pantry. ARDS Services was a key Business Partner with School District 203 for over five years and a principal founder of the "Computer Redeployment Program (CRP)" a nationally recognized and award winning School District 203 business partnership. This was a program where high school students volunteer their time to refurbish computers that the school district no longer uses. It then gives them back to students that cannot afford a computer at home with support as long as the student remains in the district. Excess computers were then sold to the general public to raise funds for the Naperville Education Foundation (NEF) to further help District 203 students education. We had over 50 high school student volunteers participate in the program, who have gained valuable advanced computer and basic business experience. CRP has provided over 535 Laptop computers to students-in-need and raised over $163,000. 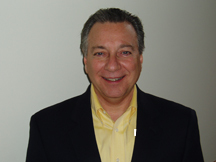 Founder and president, Richard Stompanato for many years served on the Boards of Directors of the Naperville Area Chamber of Commerce, The Naperville Rotary Club and Naperville Area Humane Society. He has aided other not-for-profit community services and believes in and follows the "Service above self" Rotarian motto. He is also a principal founder of the Naperville Technology Group (NTG) which was a consortium of several "best-in-class" area firms that specialize in various Technology disciplines. The members share business resources and "brain share" amongst its members allowing each member to to gain added capabilities with "strength in numbers". NTG has made it possible to allocate more resources to various community endeavors as noted above.